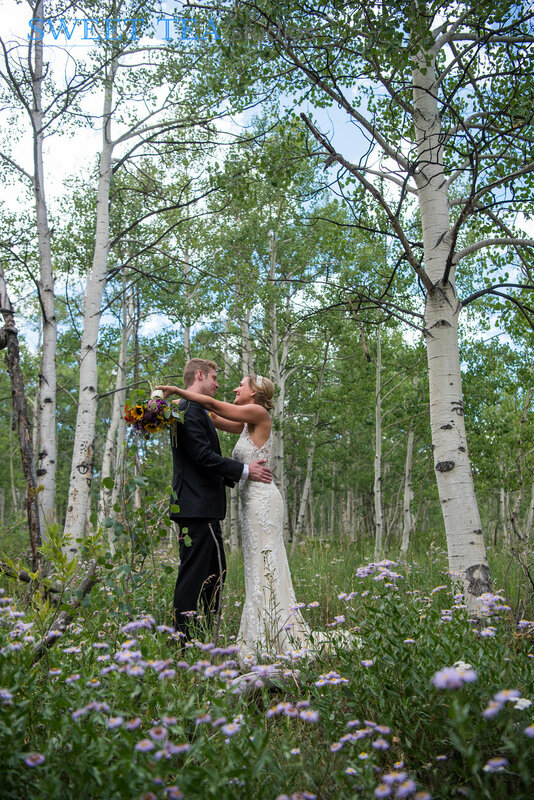 The aspen trees in Crested Butte are magical whether they are bright green in the middle of the summer or bright yellow at the peak of fall. 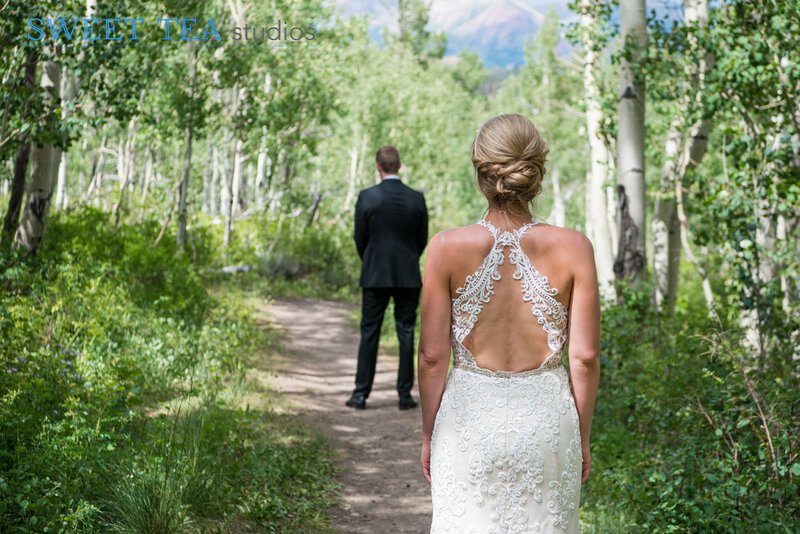 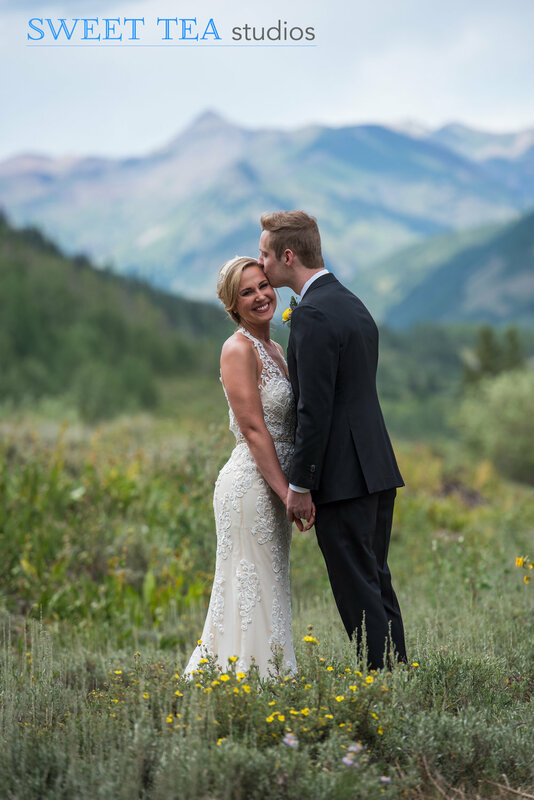 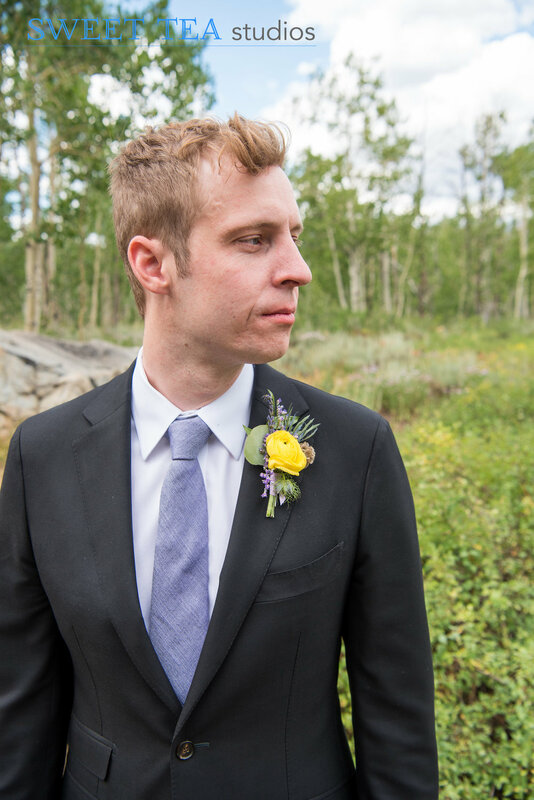 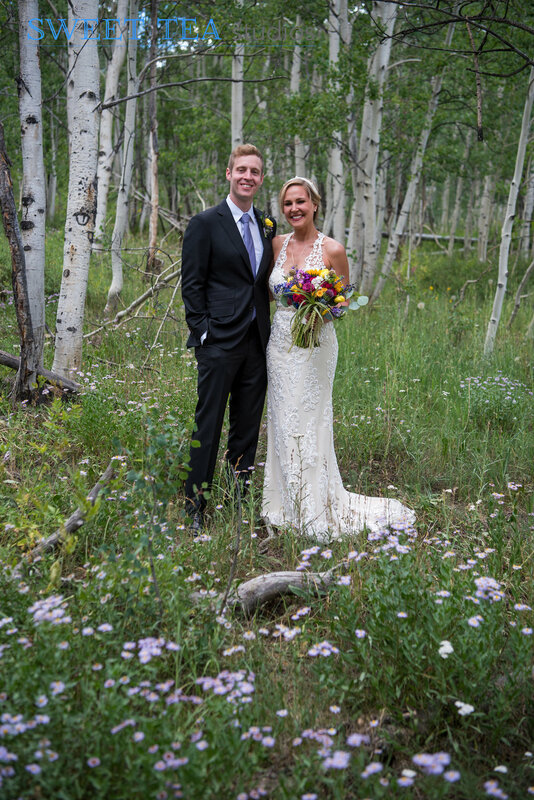 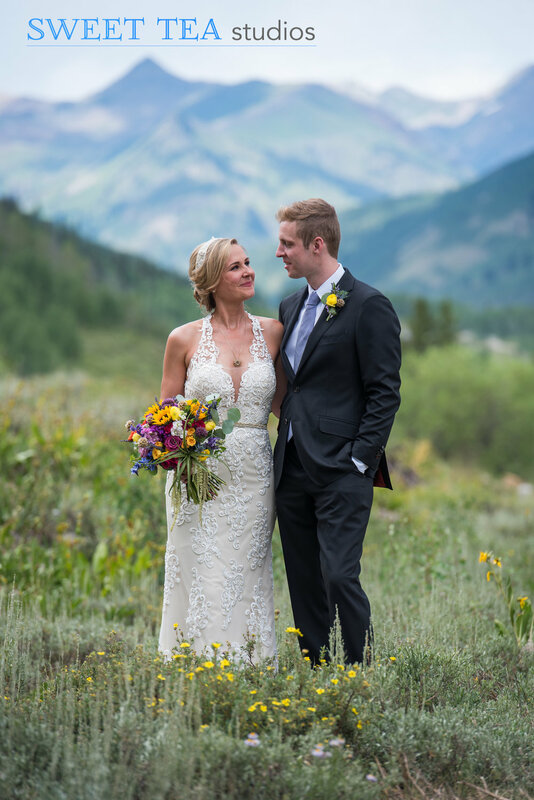 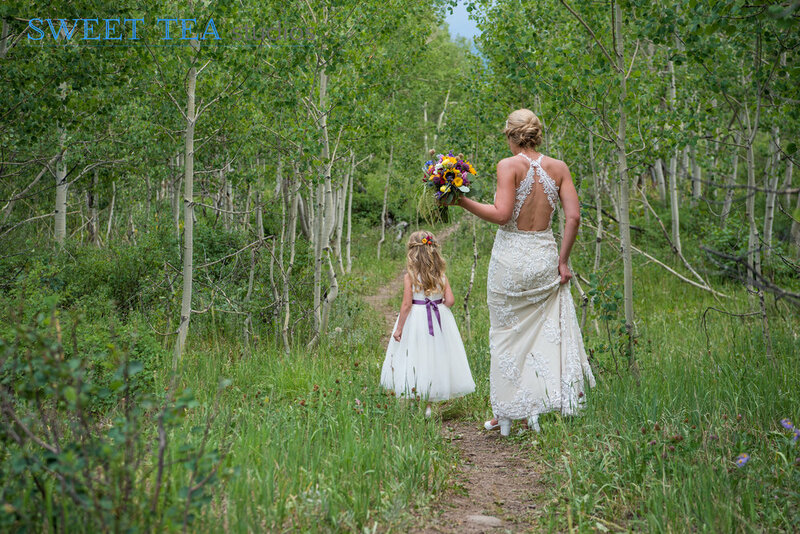 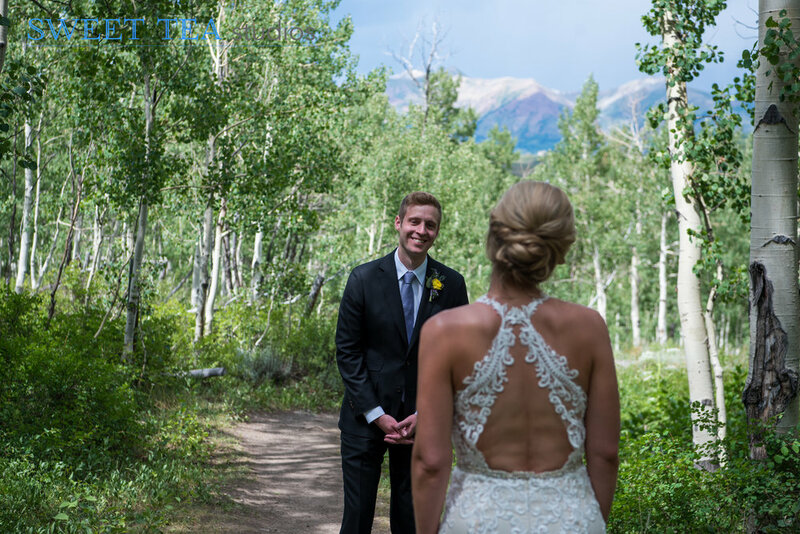 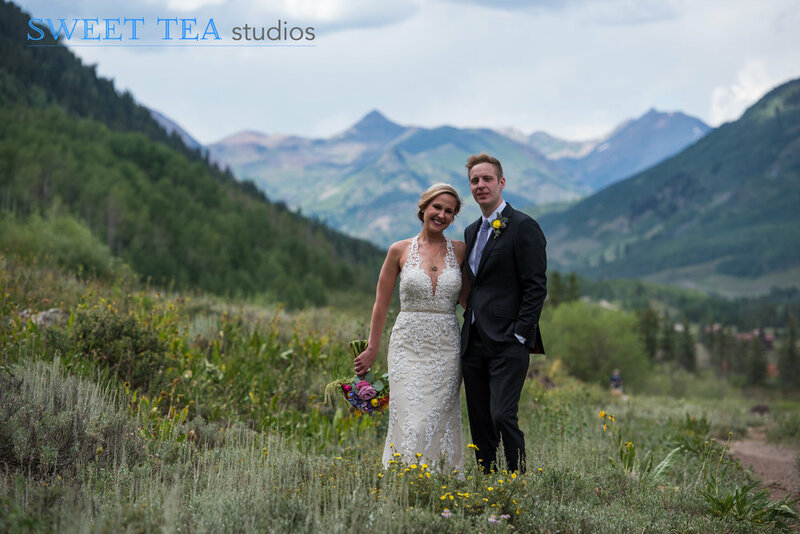 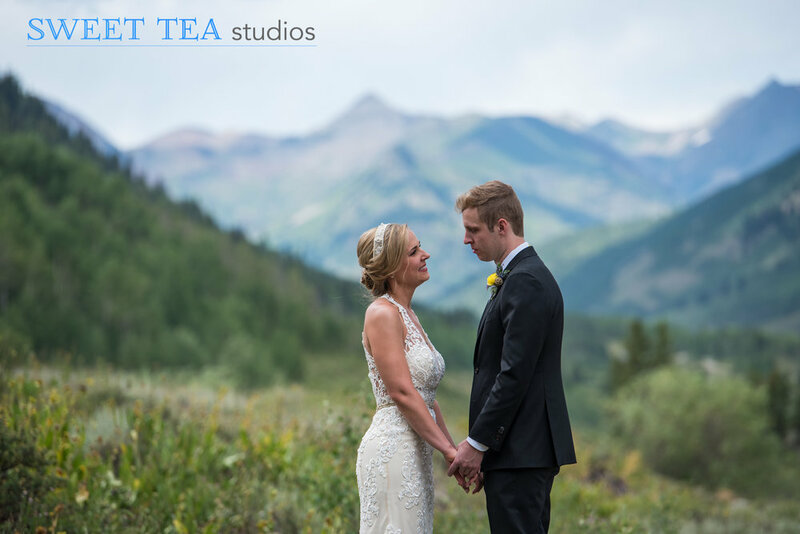 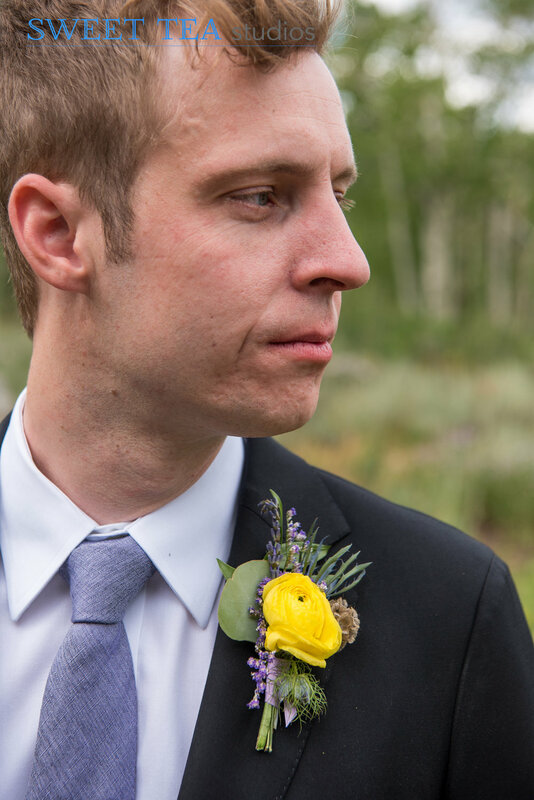 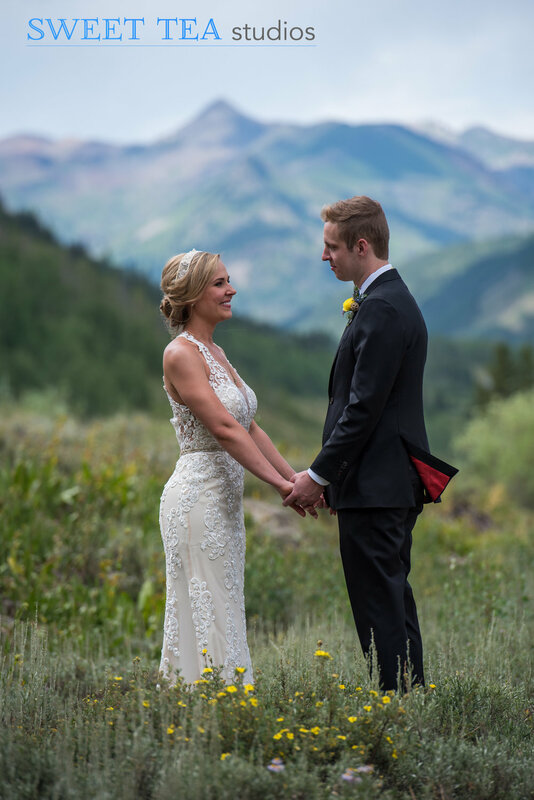 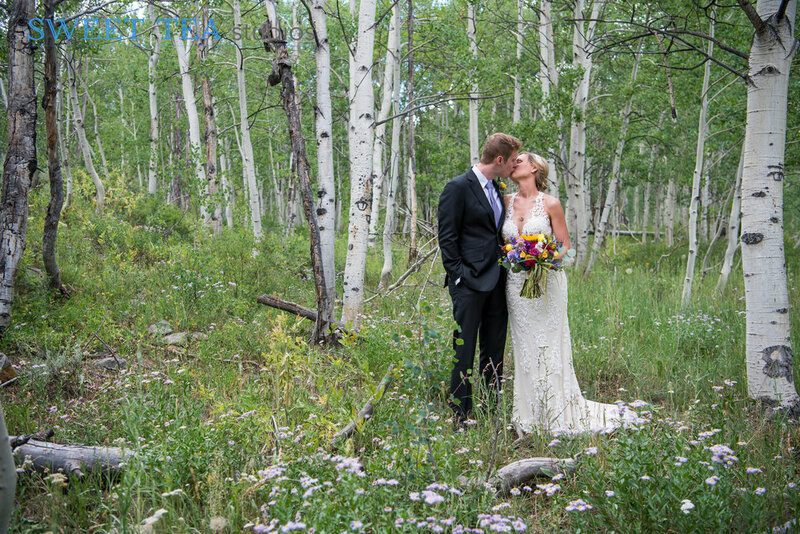 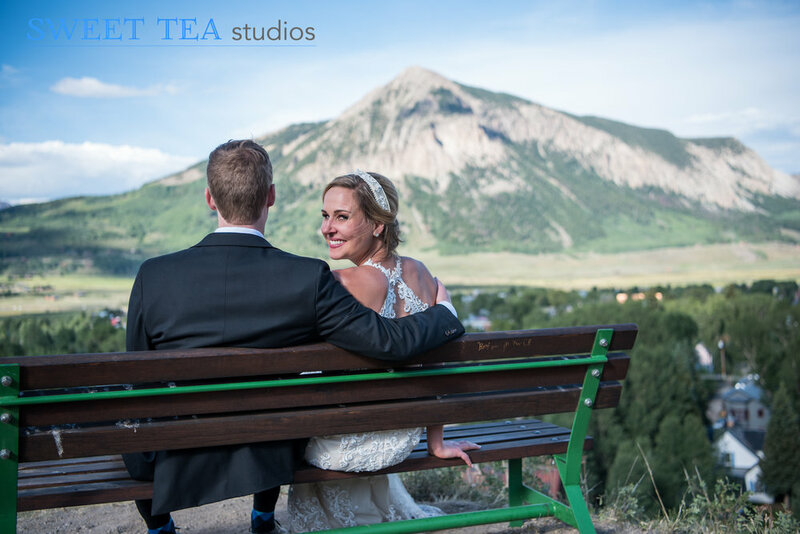 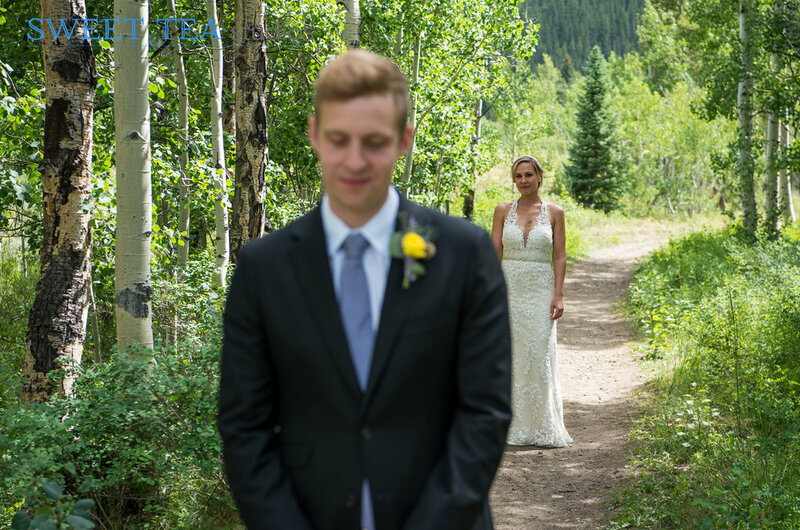 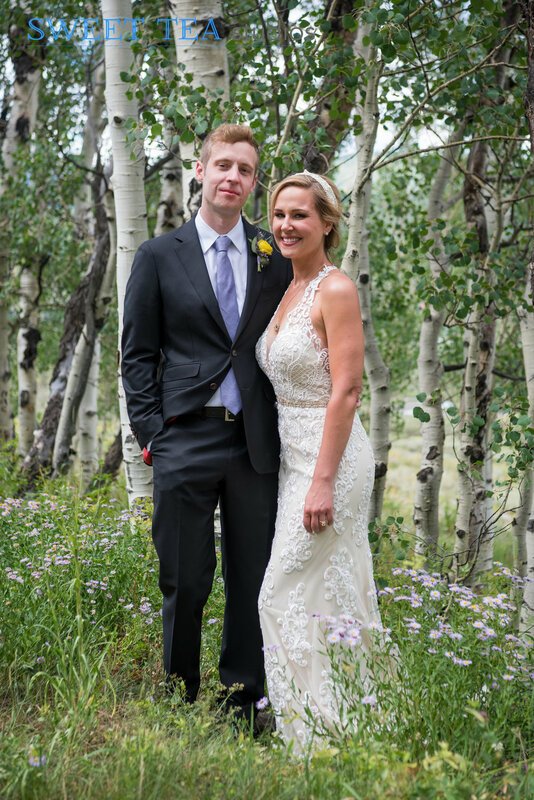 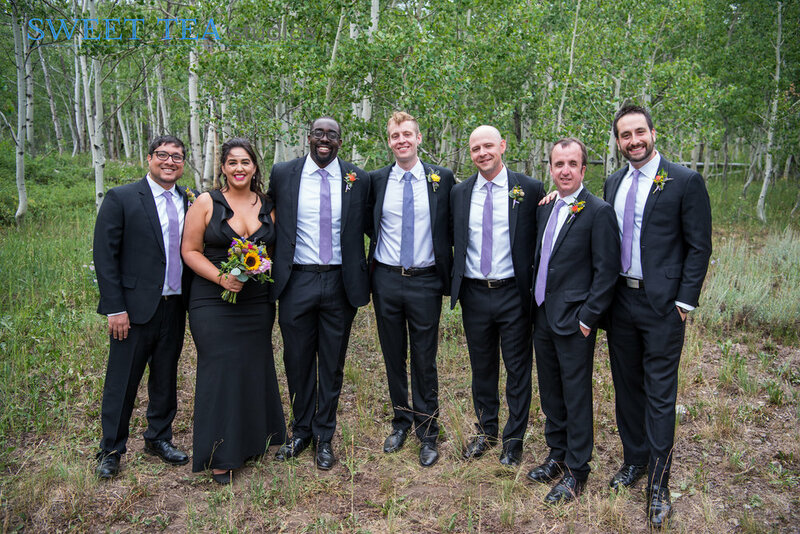 Meredith + Chris had their first look in the middle of the aspen forest, and then we took a stroll on the trail that surrounded their ceremony site before meeting up with their awesome wedding party. 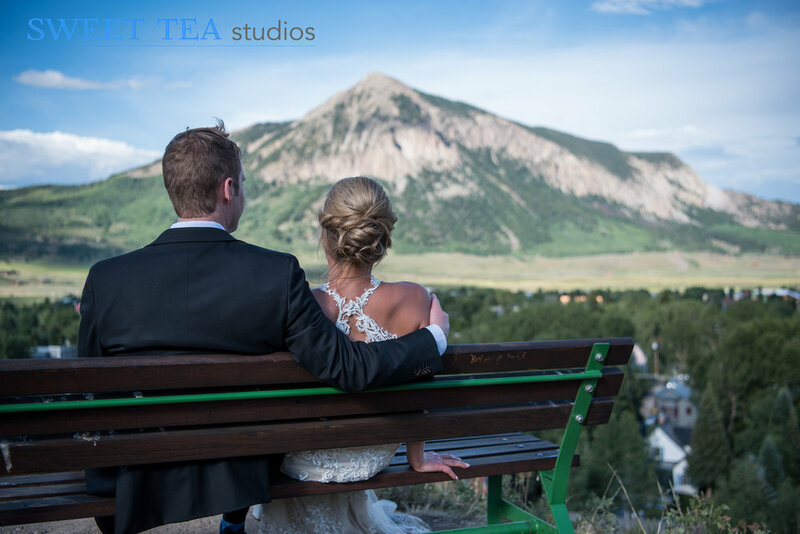 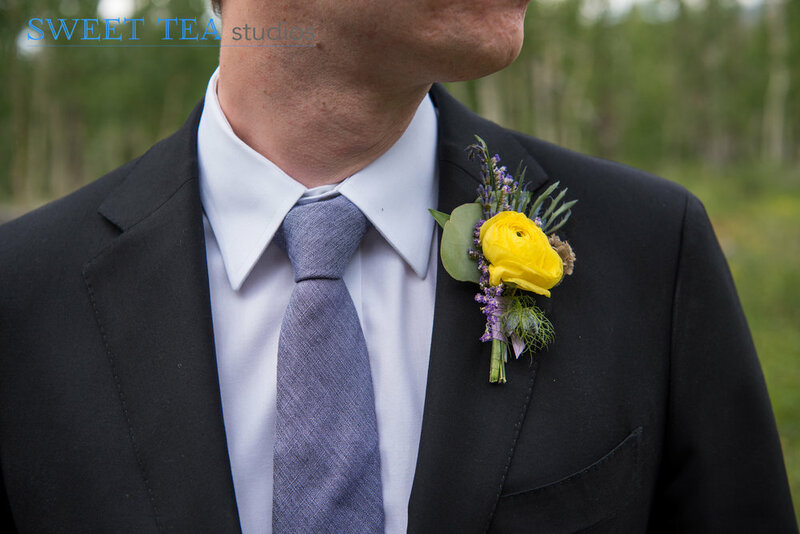 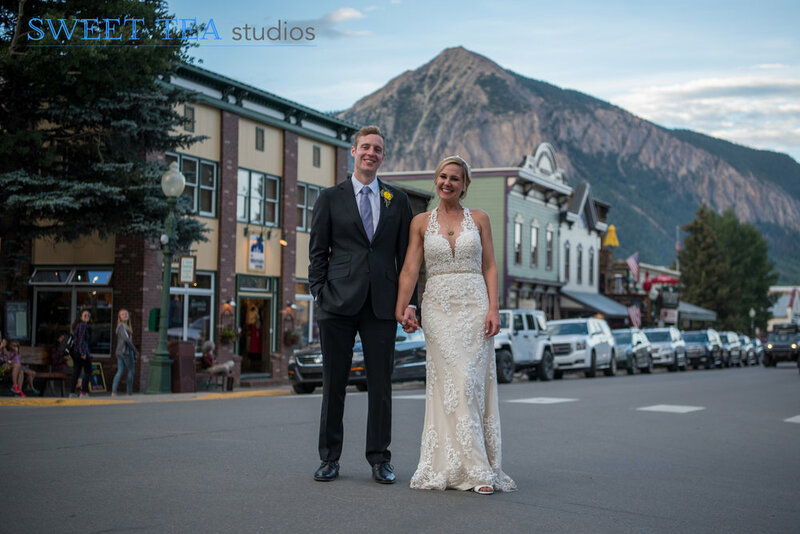 After their ceremony, the couple took some time alone together as they walked down to town and to their party at Bonez, stopping for a breather on the bench overlooking town. 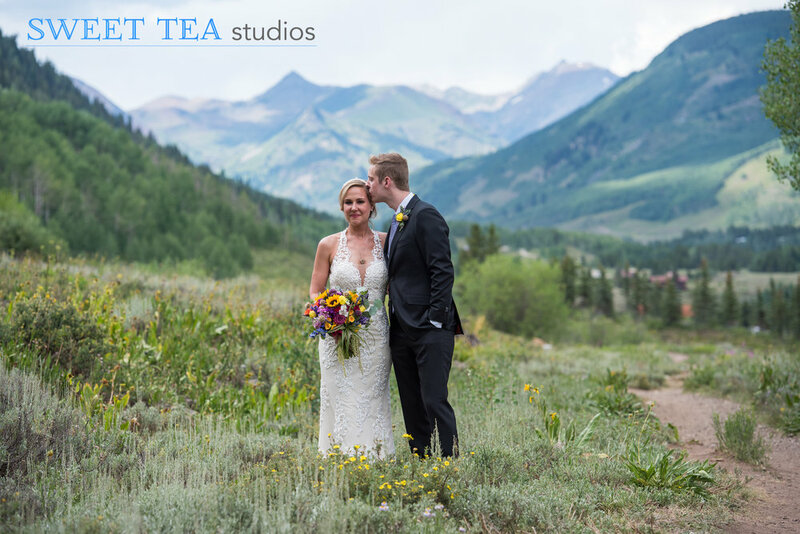 We love when couples are able to take a little time to themselves and really hone in on what the day is all about.